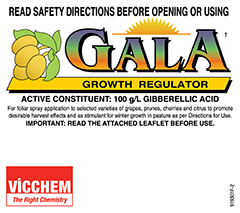 GALA Growth Regulator is a unique non-flammable and non-poisonous liquid formulation of Gibberellic Acid GA3. The maximum rate of 80mL/ha will give the greatest response but will require adequate soil nutrients and moisture to support and sustain rapid growth. 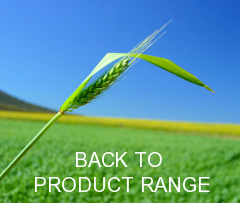 The lower rate of 40mL/ha may be used for phalaris pasture or where a modest growth increase is required. Apply in at least 100L water/ha and use a non ionic wetting agent such as Deluge† 1000 (@ 10mL/100L) or if applying in high pH water, use a buffering agent such as Buff-It† to reduce pH to near 5 is advised. Spray mixture should be used on the day it is prepared. Do not leave overnight.